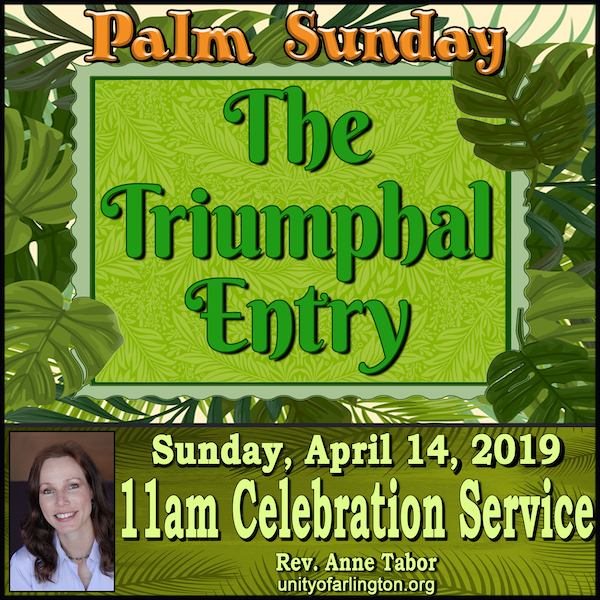 "The Triumphal Entry" -- As we enter into Holy Week, Palm Sunday reminds us that just as Jesus began to prepare the way for resurrection by making his triumphal ride into Jerusalem on a colt, we also have the potential to create our own opportunities for restoration and renewal. Join Rev. Anne as she takes us through the steps that can lead to spiritual awakening! For as our Master Teacher told us, "The one who believes in me will do the works that I do, and, in fact, will do greater works than these."